Without a doubt almost all students, staff, faculty and visitors will have connected with at least one of our new honorary alumni during their journey at Edwards. These outstanding individuals are often the first point of contact and the most recognizable face or voice. They are the go-to people and have over 150 years of combined customer service. 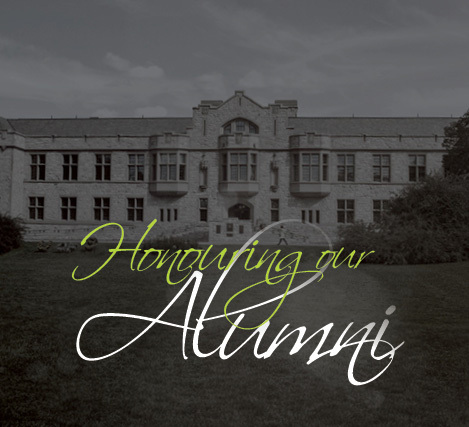 Recently, the University of Saskatchewan Alumni Association celebrated several of these esteemed individuals and their achievements at the Honouring Our Alumni event. The annual event recognizes the determination and influence of alumni through awards and an induction ceremony for honorary members. Edwards School of Business is excited to announce five long-serving staff members were nominated and proudly inducted as honorary alumni at the October event. Honorary Alumni status may be granted to any person who is not otherwise a member of the Alumni Association in recognition of their exceptional contribution to the Association or the university. Edwards extends our sincere thanks to everyone who wrote letters of support for these inductees. 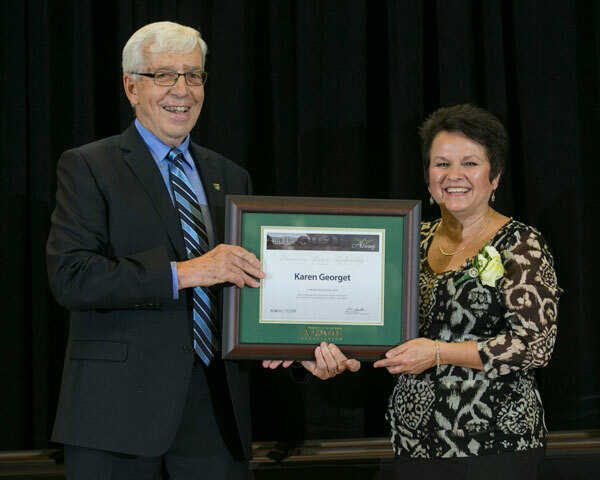 For years Karen was the welcoming face and voice of the Edwards School of Business. She advised students with her wealth of information about the business school, supported them through stressful and emotional times, and liaised between them and the university to book rooms and organize events. It was not uncommon for alumni to return to the school after many years for a visit, only to have Karen greet them with a smile and welcome them back by name. This is quite amazing when you consider how many thousands of students Karen helped during the course of her career, and truly attests to the strong connections she made with students. 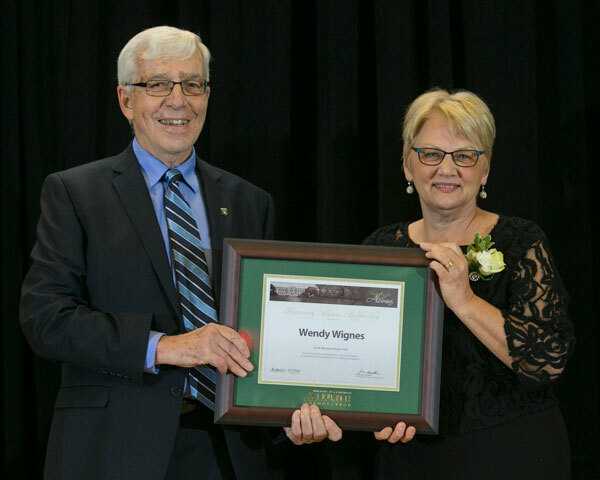 Wendy was the go-to person for advice and guidance and tirelessly supported thousands of commerce students. She had a way of making new students feel welcome in an institution that can sometimes feel overwhelming and guided them through their four (or sometimes more) years of higher learning. Wendy’s efforts laid the groundwork for greater affinity as these students moved into their careers, positively reinforcing the reputation of Edwards and the university. Jan’s leadership at the Edwards School has significantly impacted our fundraising efforts, and alumni relationships. Her care and commitment has been exemplary, and is a central part of why the school raised a good deal of funds in the Dean Isaac era. 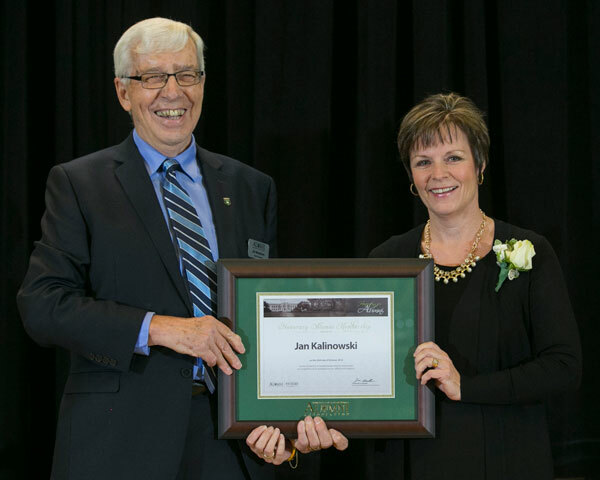 Jan has also spent tireless volunteer hours planning, coordinating and implementing very successful events, including JDC West, the Women of Influence Breakfast, and the Spring Forward Leadership Conference. She is also a central pillar in the development and publication of the Edwards THRIVE magazine, keeping the school connected to alumni and donors. Sharon is the first point of contact in the Dean’s Office for faculty, staff, students, and visitors. During her years of service, she has worked alongside five deans. Though the school’s leadership has changed, Sharon continuously maintains the Dean’s Office as an accessible, friendly, and efficient hub for all those that visit. 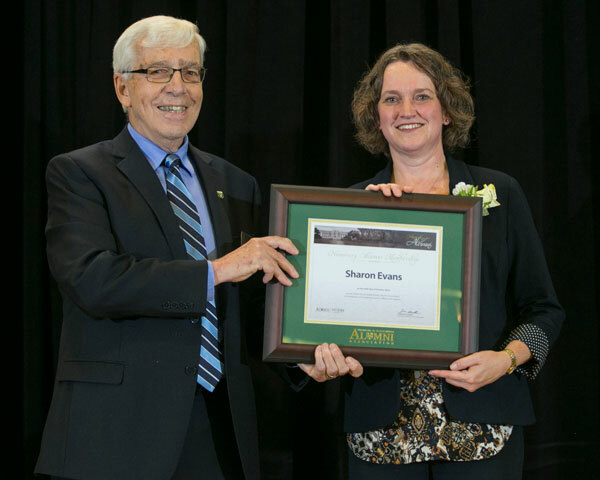 Sharon’s level of service and volunteer efforts have exceeded expectations and demonstrate a continued commitment to the university and Edwards School of Business. Ellie was an unsung hero during her time at Edwards. Her position was one of enormous responsibility in a college that accounts for around 10% of the university’s student body. 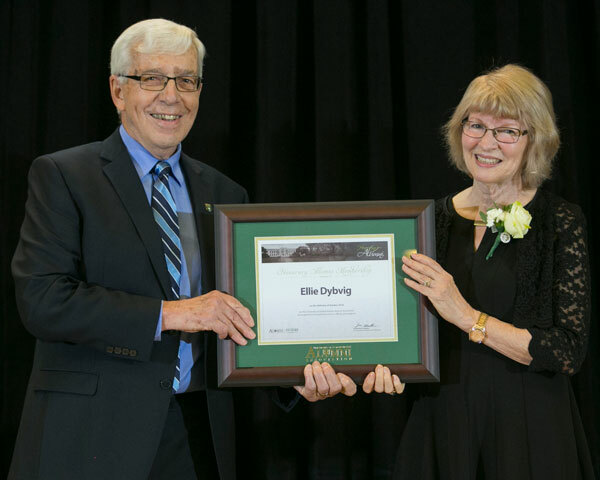 Ellie worked alongside seven deans and mentored countless staff members, soon becoming the go-to person until her retirement in 2014. Ellie’s patience, dedication and willingness to help carried her through changing policies, leadership and technologies at the university. Congratulations to our 2016 Honorary Alumni recipients and welcome to the Edwards alumni family!